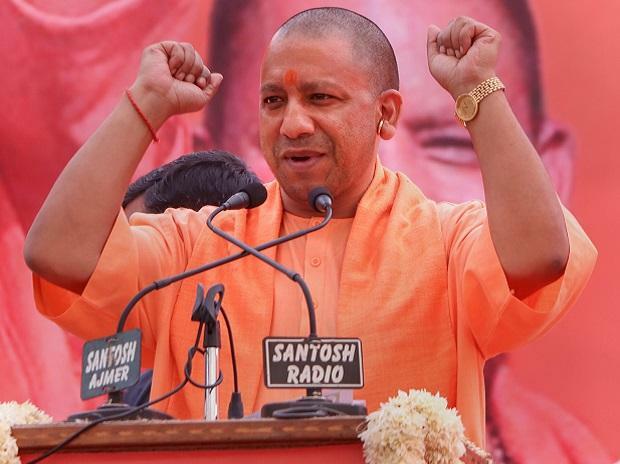 With the opposition targetting the ruling Bharatiya Janata Party (BJP) over alleged farm crisis and mounting sugarcane arrears in the ongoing Lok Sabha electioneering, the Yogi Adityanath government has promised seamless procurement of 5.5 million tonnes (MT) of wheat. Pegged against the minimum support price (MSP) of Rs 1,840 per quintal, the state farmers are expected to fetch total wheat payments worth more than Rs 10,000 crore in the rabi marketing season 2019. According to the state food and civil supplies department, the government has made an elaborate plan to ensure elections do not affect procurement process with district magistrates directed to conduct regular reviews and take corrective measures. Recently, the department had sought the permission of the Election Commission (EC) for buying 55,000 additional silos/sacks for storing wheat, which has now been received. Considering that in the last season, UP had logged record wheat procurement of 5.3 MT against the seasonal target of 5 MT, there is high possibility that the current target of 5.5 MT would be within reach of the state procurement agencies. The procurement season, which commenced on April 1 would continue for two and half months till June 15, 2019. Last month, the Adityanath cabinet had hiked the wheat procurement target by 10% to 5.5 MT. The procurement of cash crops of wheat and paddy have been clocking robust uptick under his rule after he came to power in March 2017 compared to the previous dispensations. In 2017, UP had posted wheat procurement of 3.7 MT compared to 0.8 MT in 2016, thus registering quantum jump of 460 per cent, which further rose by 43 per cent to 5.3 MT in 2018. Besides, the government had increased the wheat MSP by six per cent from Rs 1,735 per quintal (100 kg) to Rs 1,840 per quintal. The state would additionally pay bonus of Rs 20 per quintal for wheat chafing, thus raising the effective payout to Rs 1,860 per quintal. A total of about 6,000 procurement centres would be established for purchasing directly from farmers. Meanwhile, about 20,000 tonnes of wheat had already been purchased in the state with the farmers being paid Rs 38 crore. The procurement would gain momentum in the coming days as harvesting peaks. In the backdrop of elections, the BJP government does not wish to give leeway to the opposition to castigate it over agricultural issues, including wheat payment delays or defunct procurement centres, which could trigger panic selling by farmers at sub MSP levels and feed disenchantment. In the recently concluded 2018-19 paddy procurement cycle, UP had posted record paddy purchase of 4.9 MT compared to the target of 5 MT. In 2016-17 and 2017-18 seasons, the state had logged paddy procurement of 3.5 MT and 4.3 MT respectively against the target of 5 MT.